Economic growth in the Philippines over the last decade has seen a corresponding demand for power generation. To supplement the country’s existing power facilities and meet its growing needs, a new coal-fired power plant has been constructed in the province of Cebu. The Therma Visayas power station’s new dock, just outside Toledo, poses considerable challenges for high-capacity coal unloading. A key consideration is the port’s immediate proximity to the town, as well as its situation amidst a sensitive local marine environment. Together any solution for discharging coal has to meet the strictest environmental criteria for dust creation and spillage. After consulting with Siwertell and seeing other similar well-performing installations in action around the country, Hyundai Engineering Co Ltd - contracted to build the new dock and power plant - opted for Siwertell’s proven rail-travelling 790-D ship unloader. 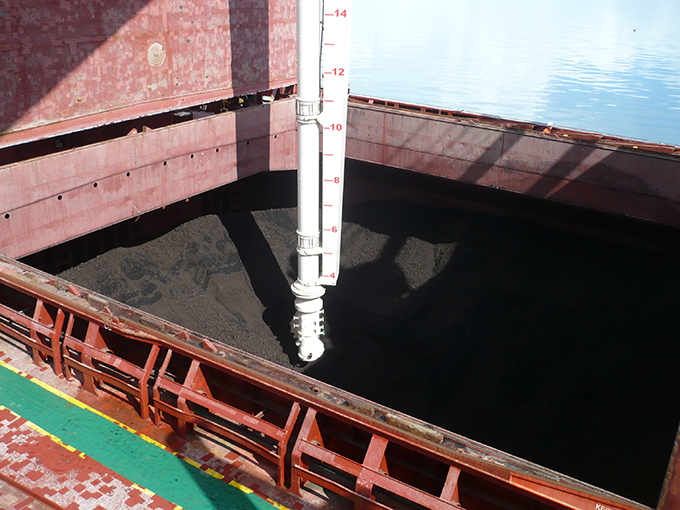 Siwertell’s unique cargo handling technology can discharge coal cargoes at a continuous rated capacity of 1,500t/h. A fully-enclosed design with dust filters offers an extremely effective system for operators looking to minimise any environmental impact. In comparison to a grab crane of a comparable capacity, the unloader also prevents the spillage that the facility was anxious to avoid. Once the coal has been unloaded, it is transferred via a belt conveyor system to dome silos at the terminal. 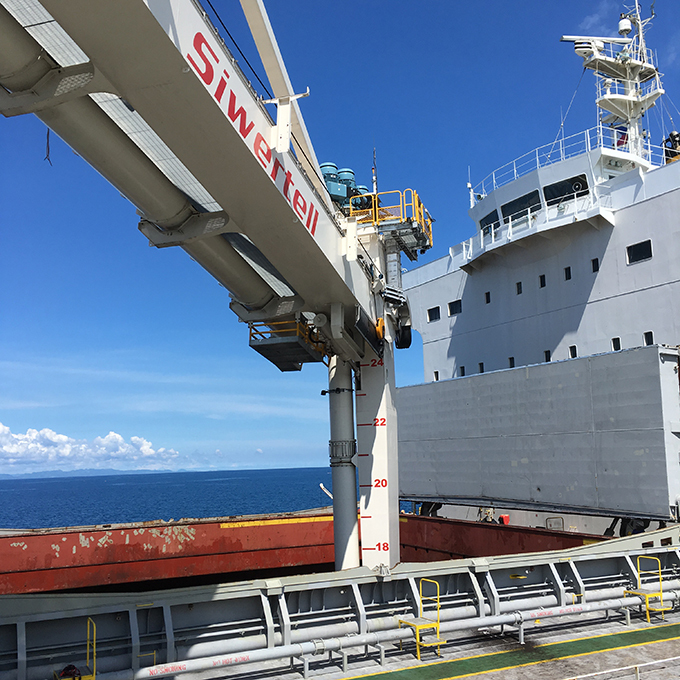 In a strategy designed to save time and local assembly work in a crowded construction site, the Siwertell unloader was delivered fully-assembled to the dock by a heavy-lift vessel. After entering operation in 2017, it has proved itself able to meet a hundred percent of the facility’s bulk handling requirements, with the unit now unloading coal at full capacity. The unloader is capable of discharging bulk carriers up to 92,500 dwt, without any spillage and with negligible dust emissions. 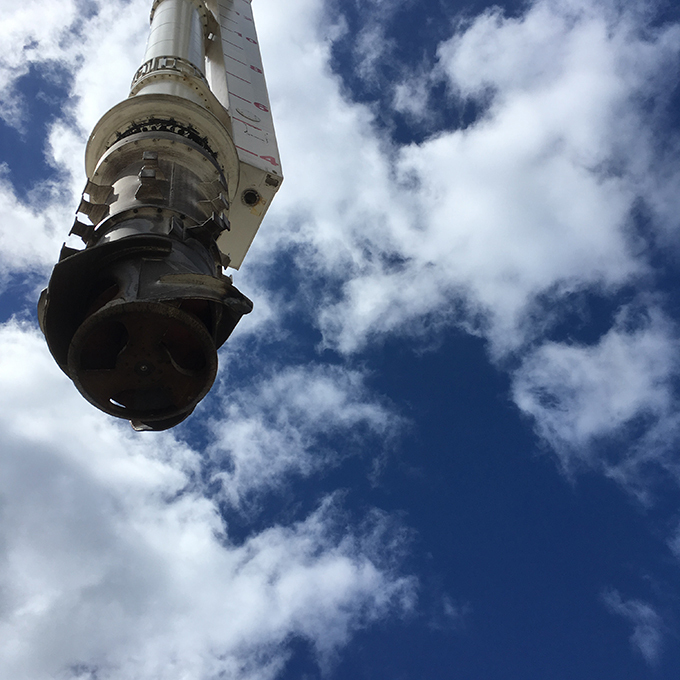 Thanks to the design of the Siwertell 790-D screw-type unloader, as well as all varieties of coal, it has the flexibility to unload biomass such as wood pellets, often used as an additive fuel at coal-fired plants, with minimal additional modifications.